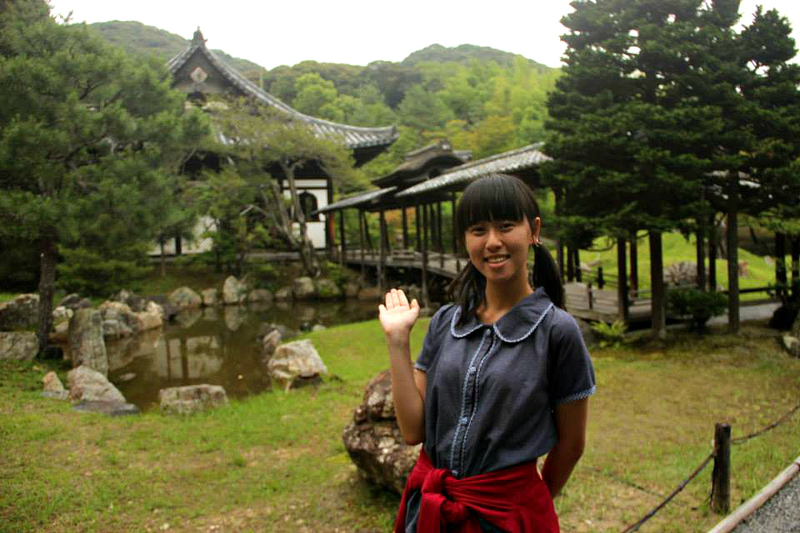 I don't remember much about my initial feelings towards Kyoto. I knew it was a historical city, from my days of watching Digimon (the episode where Qinglongmon appeared) and from friends visiting the city, but other than that Kyoto was not much of a familiar name. 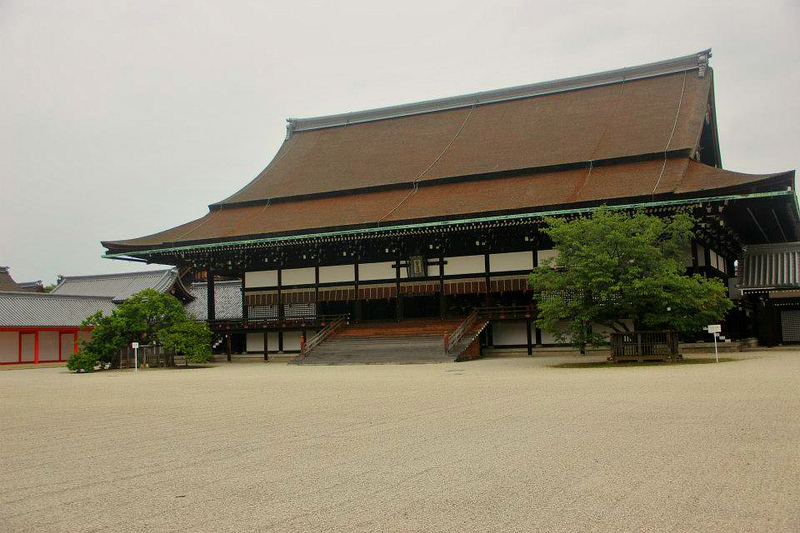 Nijo castle is a palace that was built by a shogun, if my memory serves me correctly. While I enjoyed the historial and architectural value of the place, I don't remember being particularly amazed by it (maybe it's a comparison effect with my subsequent visit or the ongoing construction). We were allowed to enter parts of the castle, shoes off, and observe what's inside (do you know the floors are made to creak to prevent intruders), but most parts of the castle were closed off to the public. Which means that most of the time we were outside of the castle. When we reached the gates of the palace, both Dawn and I instinctively knew that the tour is going to be amazing. There were security personnel guarding the entrance and we were required to bring a printed copy of our signup form to be allowed to enter. Yes, we were required to sign-up to be allowed to visit the Imperial Palace (we signed up six months earlier) and slots are limited. There's a much bigger park surrounding the main compound outside, but the real deal is at the centre. We signed up for the English tour together with 20+ people and while we were in the main compound, we were not allowed to wander off. We had to follow an arranged route with security keeping an eye on us, but the opportunity to step into history? Worth it. We walked past halls that Japanese emperors from a few hundred years ago once walked on, buildings where emperors were coronated. It was a humbling experience and looking at how the place is still revered until today, a privilege as well. Our tour guide also did a great job of walking us through the place, letting us know what are the different functions of the buildings and gates, most of it which are older than me at least by a few hundred years. For a history fan like me, this place was awe inspiring. 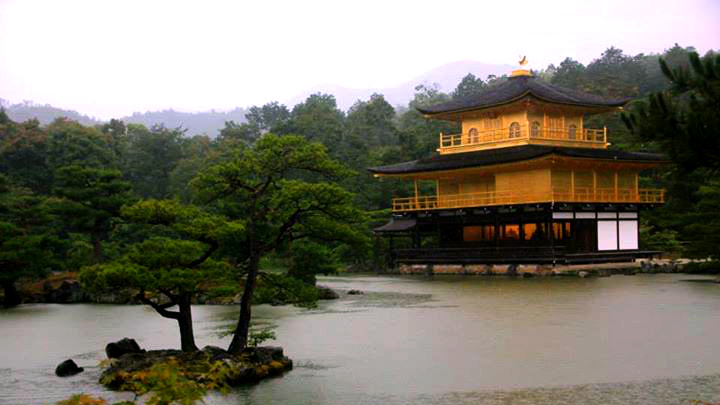 Almost everywhere that we go, Kinkaku-ji came off as a highly rated and most recommended tourist attraction in Kyoto. I suppose it sort of built up an expectation in me that when I visited, the place was not as awesome as I expected it to be. Vastly overhyped, I would say. Other than the Golden Pavilion next to the lake and the garden surrounding it, there was not much else to see around the area. The garden and pavilion is pretty, but they were in no way representative of what the ratings had given them. Compared to other attractions in Kyoto, I wouldn't put this place too high on your list, unless you're a huge fan of greenery and lake. In the same vein, I suppose its cousin the Silver Pavilion would be similar too. If there is a poster attraction for Japan, Fushimi Inari-taisha can easily be it. Japan is famous for its brightly coloured orange shrine archways and at Fushimi Inari, you can find an entire mountain almost covered with these archways. Like literally, the path up to the mountain's summit is lined up with the archways. The feeling of being here is quite surreal and out of the many attractions in Kyoto, Fushimi Inari is one of my favourites. The shrine is supposedly built to honour the fox spirit and because it covers an entire mountain, the place is huge. You can easily spend one day here if you want to and if you're feeling adventurous, you can try hiking all the way up to the summit too (who said you can't exercie while on a holiday). Aside from the shrine complex, there are also a lot of amazing street food around Fushimi Inari and the atmosphere is festive. Best of all, the whole place is free. 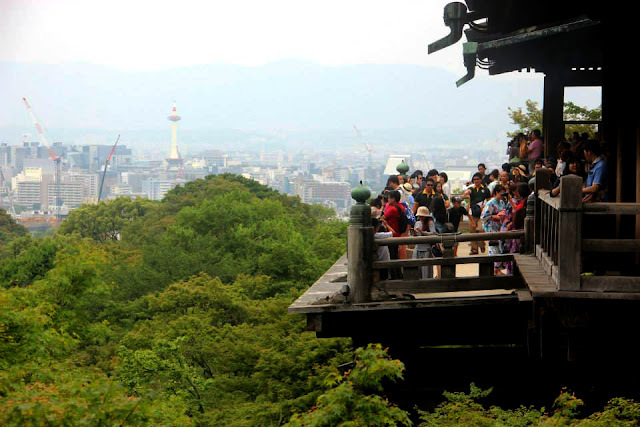 Located at the side of another mountain any many staircases above, lies another temple that I think is worth visiting, mainly because of its view, Kiyomizu-dera. It's one of the few places where you can have a good look of Kyoto from above, just that you must be prepared to climb a lot of steps. 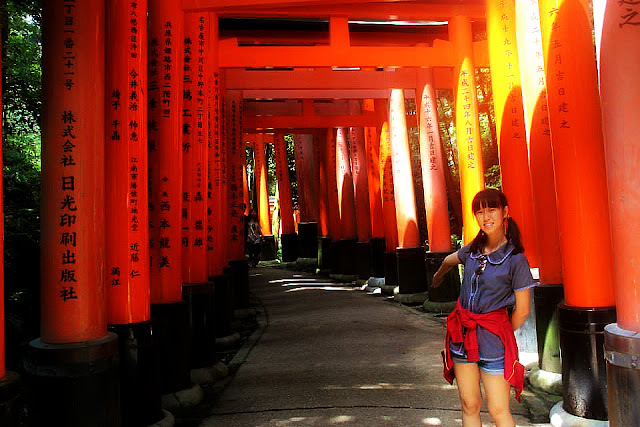 Like Fushimi Inari, the whole temple complex is big, but the main highlight is of course, the central temple structure. The view is breathtaking, thought by this time Dawn and I were tired from all the walking already. Luckily they had a cute coffee shop that sits right off the edge of a cliff for us to rest. The architecture of the temple is also worth admiring too. 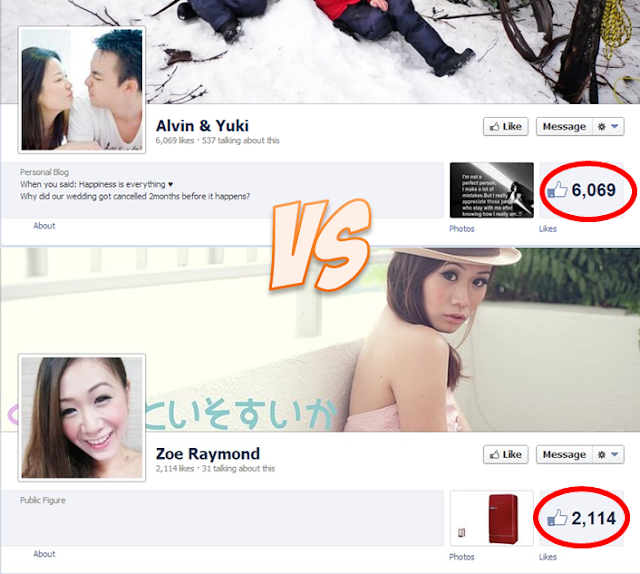 OUR TIMES: Looks like a place from a Taiwanese drama, eh? Sannenzaka looks like a place straight out of an anime or a Taiwanese drama. 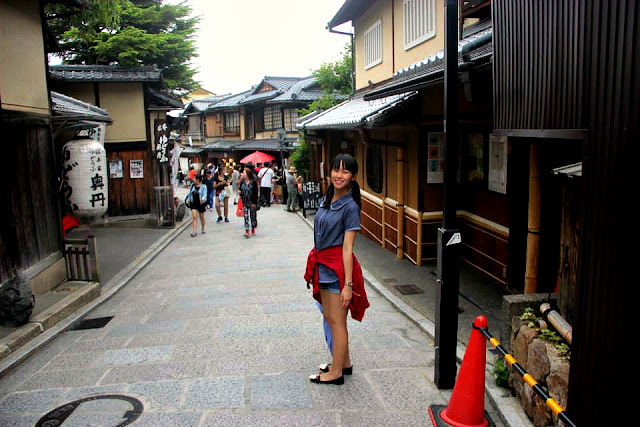 Walking amongst the narrow streets and two-storey shophouses selling a variety of Japanese souvenir and products is an experience that one should have when visiting Japan. There's only one problem: The HUGE crowd. Depending on the time you're there, walking can be quite a challenge. Still, it's a place worth going for the atmosphere. There are also few shrines/temples nearby for you to visit too. 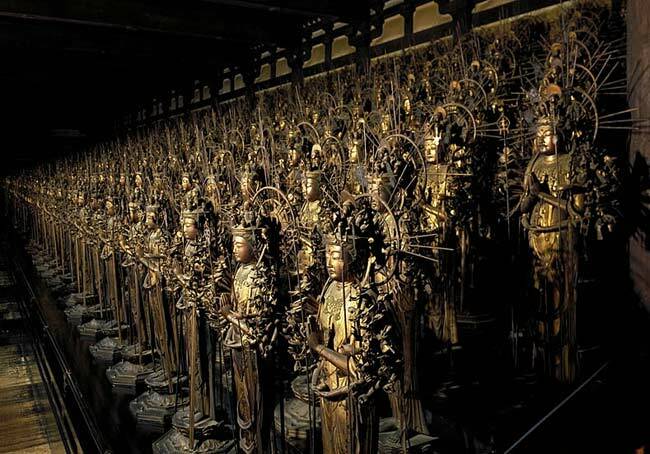 I didn't know why we decided to visit this place, but I guess it's because they have 1001 statues of Buddha in this long hall. Other than that there's nothing much, but staring into 1001 statues of Buddha can be quite an experience. I felt awed at the sheer number of the statues but if you're not someone who can appreciate works of art and labour then you might want to skip this place. It's not that easy to reach and there's are not many other attractions around this place. I suppose after a while temples and gardens become a little bit similar to each other. The backstory and the architecture may differ a bit but essentially they don't differ very much. Kodaiji stands out somewhat because they have a lot of wooden bridges and the sights along the route is varied, where you get to see wooden houses, bridges and a lot of bamboo. They say they have great autumn lighting at night but sadly our time of visiting has been slightly different. One of the reasons why I liked Kenninji was because of its historical value. 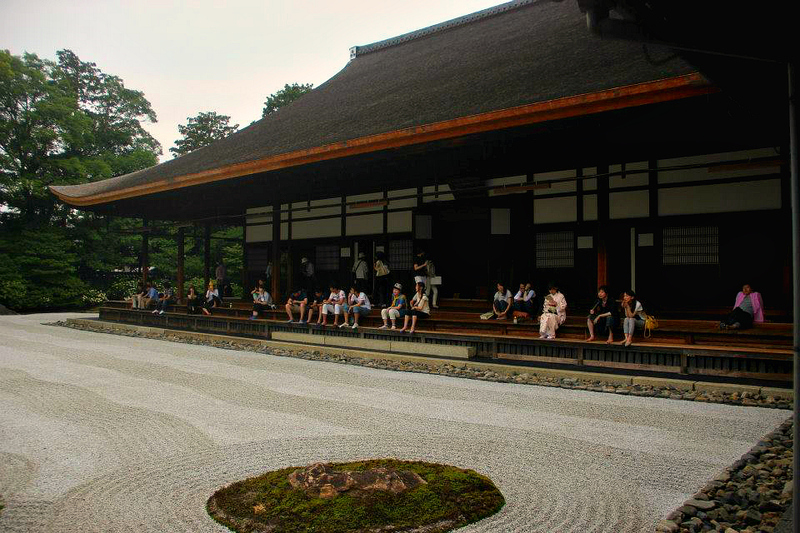 One of the oldest temples in Kyoto, the place manages to successfully blend garden and building together, where you get to roam the wooden halls of the place while admiring the garden outside. There is also a giant painting of a tiger on the roof of one of the temples. 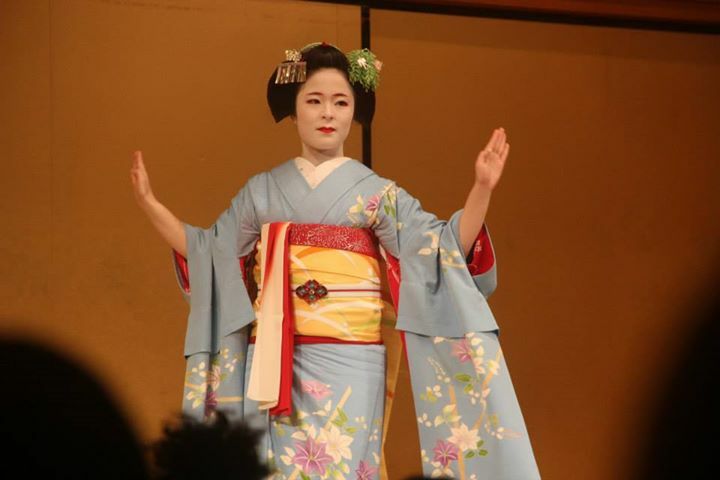 We wanted to go to Gion Corner specifically to catch their geisha shows. 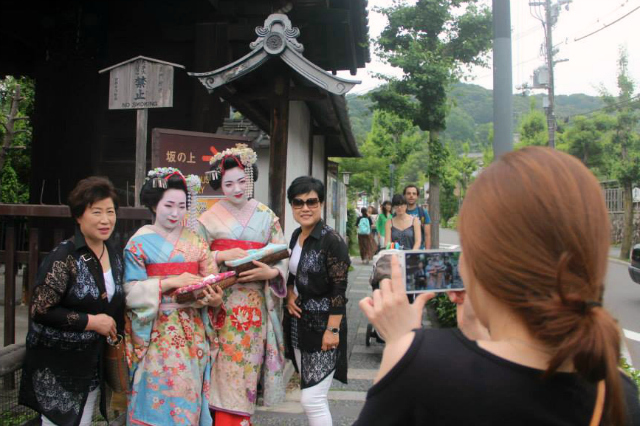 While we did spot a few geisha on the streets, the performance was not what we had in mind. Cultural, yes, but value wise, not really. The tickets cost around 30 SGD and featured different performances that is supposed to capture the Japanese culture. It's informative and eye-opening, but it was something that I cannot appreciate, sadly. There was one segment where the people were purposely singing off tune and because the show is in Japanese, we didn't understand the dialogue either. But if you want to see how Japanese traditional performances are like, you should check this out. It's supposed to be a nightlife district of Kyoto but other than souvenir shops and eating places there nothing much else to do. 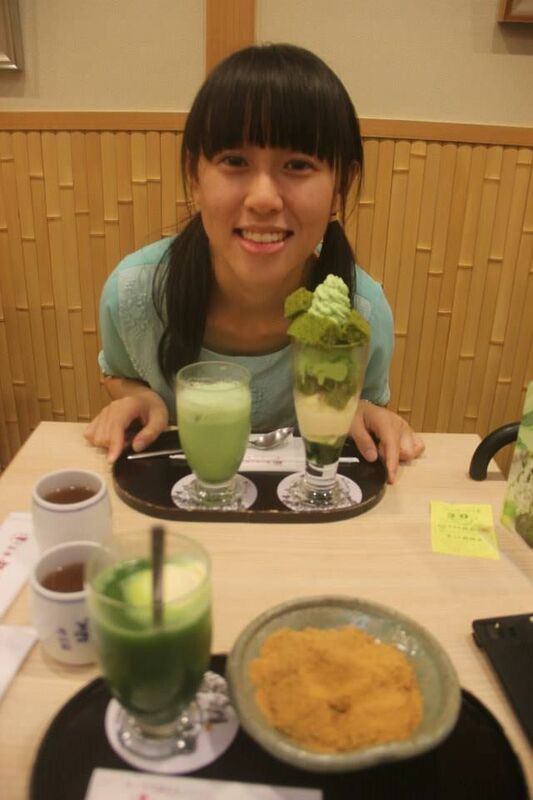 Still they have killer matcha desserts, so I guess that counts as something. Just make sure you go the correct one. The one we went to had a matcha shop downstairs and a little more pricey but the range of matcha products they have some of the best that I've ever tasted. My favourite: Matcha soda. And the parfait. In conclusion, Kyoto is an amazing place to visit if you know where to go. Some places are overhyped that others, so be sure to check how big is the place and what they place is famous for before going. Kyoto is famous for the numerous temples and shrines, which was why it can get quite confusing if you're not prepared. If you're really confused, just follow well-established guides. Still, it's an awesome place to visit. I enjoyed being able to experience a piece of history, through the different sites. It feels like you're part of something bigger and for that brief moment you're at that place, it's like you're able to glimpse at the memories, events and people that came before you. 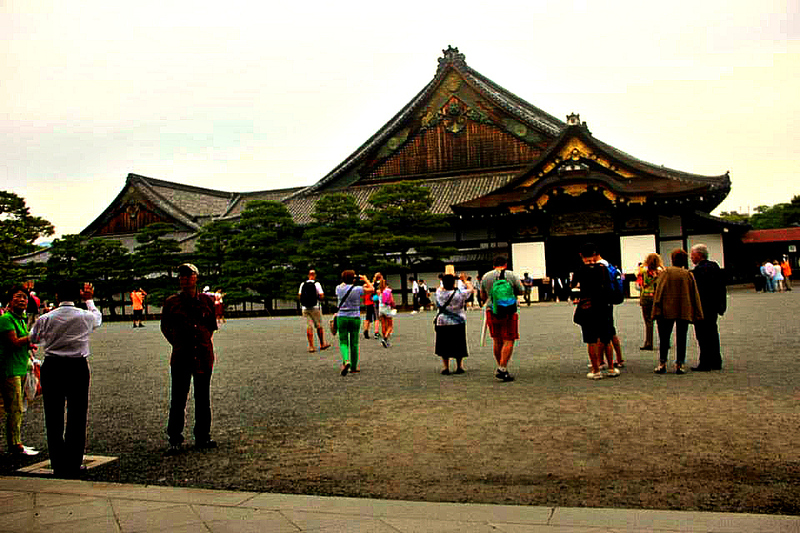 For places like the Imperial Castle, Kenninji, Fushimi Inari and etc, it's a humbling experience. Up next, the even more historical city of Nara! (I kid you not, the city is older than Kyoto).